Opt Lasers product lines include RGB lasers, fiber-coupled laser modules, laser diode controllers (diode drivers), TEC controllers, cooling modules and other laser components. We can prepare dedicated modules per customer request. Opt Lasers provides integrated laser systems and solutions for applications including instrumentation, microscopy, illumination, laser display, CNC laser engraving, and cutting, as well as powering and cooling laser diodes. Our blue laser heads can be used to upgrade almost any type of CNC machines. These machines are becoming the laser engravers - especially laser wood engravers. We offer various versions of lasers for engraving, such as the laser engraver kits for X-Carve, Stepcraft, and for any other CNC router or 3D printer. Besides, Opt Lasers online store also has a wide range of laser diodes, lenses, and many more accessories for CNC lasers. Our company manufactures lasers for engraving, marking, cutting and related applications. Our engravers are universally mountable, can be controlled by the PWM spindle signal and powered by 12 – 24 V, allowing them to be quickly connected to a wide range of CNC machines. These laser heads can also be mounted inside most 3D printers due to their design that is both lightweight and compact. All engraving lasers are manufactured in the EU by our company’s team of technicians, which ensures the highest level of quality. The emerging blue semiconductor laser technology allows the realization of numerous benefits for engraving lasers. These include high power levels, an increased engraver operating temperature, higher absorption by materials, reduced focus spot sizes and a longer lifetime of the laser head. This makes our engraving lasers a modern alternative to CO2 lasers in many cases. Our laser engraver products are also simpler to CE certify due to the low voltage and do not require external mirrors. We provide catalog laser engravers, such as our flagship PLH3D-6W-XF, as well as OEM and private label designs. New 6W laser head is now available! Change CNC or 3D printer machine into a laser plotter! Opt Lasers offers “plug and play” laser kits for a variety of CNC machines (Stepcraft, X Carve, and others). The crucial element of the laser engraver kit is the docking station (LaserDock). It is designed especially for laser wood engravers and those who use our PLH3D laser heads for working with wood and other dust-generating materials. The Opt Lasers docking station makes it possible to keep the machine clean while operating in a dusty environment. The LaserDock effectively extends the useful life of laser heads and improves significantly both work quality and comfort. It allows the laser head to be rapidly connected and disconnected, while other tools are still in use. Moreover, due to an additional cover, the docking station remains clean, when the CNC laser is disconnected. All things considered, the LaserDock is a remarkable solution for both small and large CNC equipment. Since it is easily detachable, in the blink of an eye you can simply disconnect the laser head and take advantage of the whole work field. In addition to the laser head and the docking station, the laser engraver kit contains a set of elements needed for simple installation of the laser attachment. Opt Lasers is a brand of Tomorrow’s System Sp. z o.o. We started to make engraving lasers in Warsaw, Poland in 2014 after being awarded at the “Best Polish Start-Up” competition. We can deliver complete solutions within a short timeframe due to our unique capabilities. We operate a full-time production-grade CNC mill in our machine shop, which allows us to move from a concept to the product in a short time and control the entire design and production process. Our team designs own electronic components specifically for particular products to maximize performance and reduce costs. We design and manufacture lasers for industrial and research applications. We have extensive experience in beam combining optics, mechanical design, and thermal management, electronic design, as well as system integration. The combination of these competencies allows us to manufacture high-power lasers, RGB lasers, fiber-coupled lasers, and integrated laser systems. We produce laser modules for engraving, cutting, and related applications. Our laser engravers are universally mountable and can be quickly connected to a wide range of CNC devices and 3D printers. The new blue laser diode offers benefits especially for laser wood engravers: high power levels, increased engraver operating temperature, higher absorption by materials, possible regulation of spot size, small module size, and longer lifetime of the CNC laser. In addition to wood engraving, laser heads by Opt Lasers allow You to engrave, mark, or cut a wide variety of other materials such as leather, rubber, foams, plastics and some metals. The Opt Lasers brand manufactures the fiber laser modules that generate a red, green, or blue laser beam. Also, in our offer, you will find a wide range of accessories for CNC lasers, among others the laser optics, e.g., laser diode collimators, fiber optic lenses, HR mirrors, rotators. Our laser accessories can be used for a variety of CNC routers and home CNC machines, for example, X-carve, Stepcraft, Shapeoko, Openbuilds, and many more. We manufacture and stock a dynamic portfolio of laser diodes and temperature controllers (TEC controllers). Our driver models include compact current controllers, high-current and high-voltage laser drivers, and laser diode controllers with high modulation bandwidth. Opt Lasers TEC controllers (also known as Peltier modules) enable precise adjustment of cooling to the temperature of the working system. 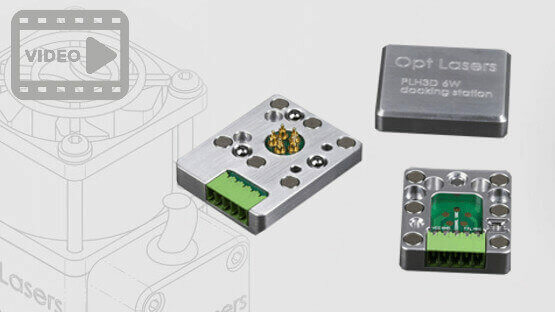 Opt Lasers also provides custom-made and OEM laser drivers and temperature controllers with short lead times.